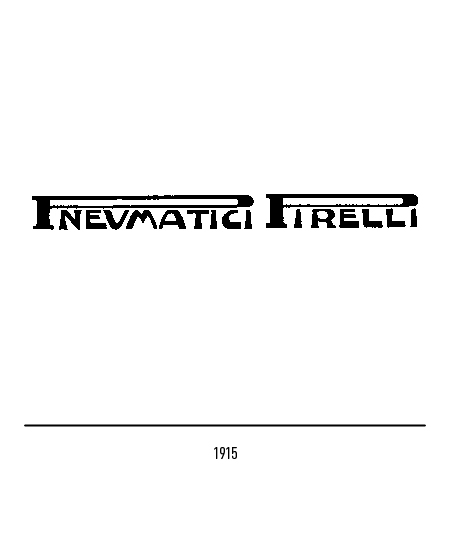 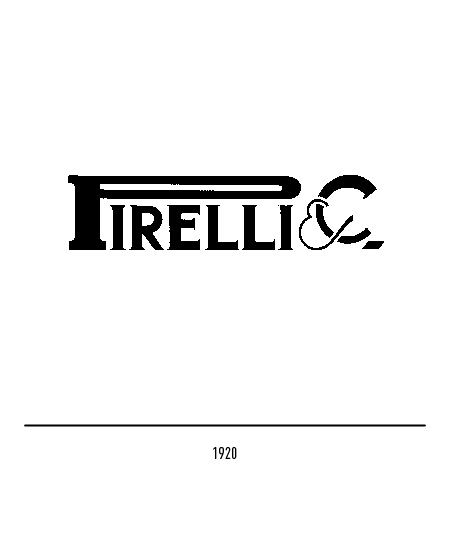 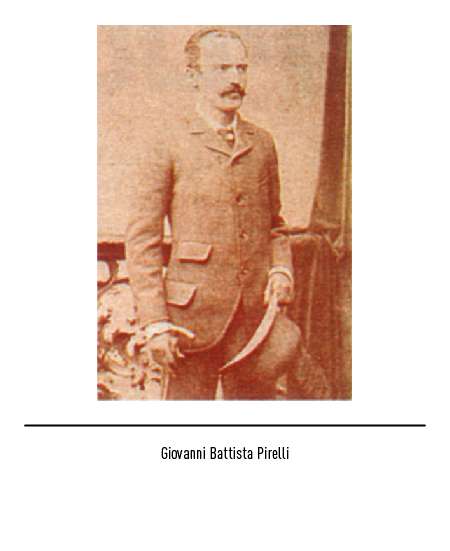 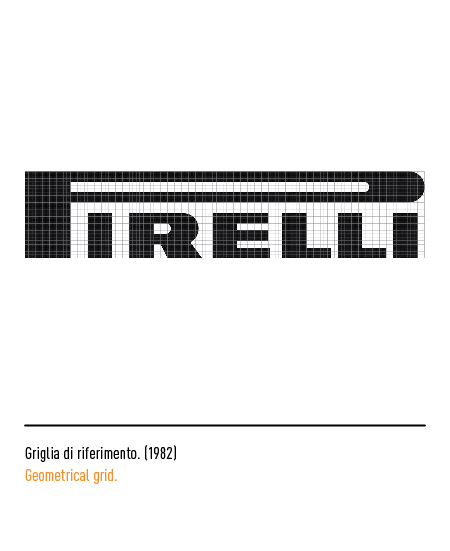 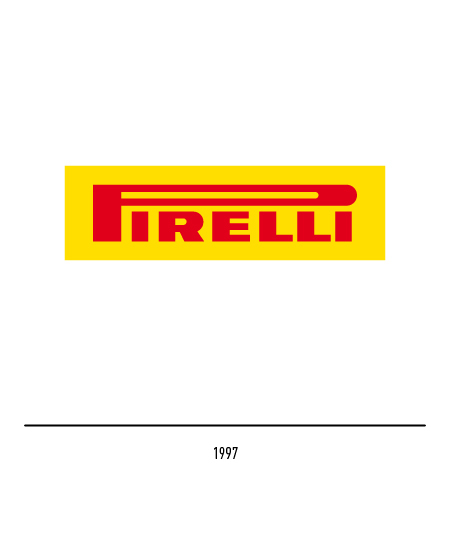 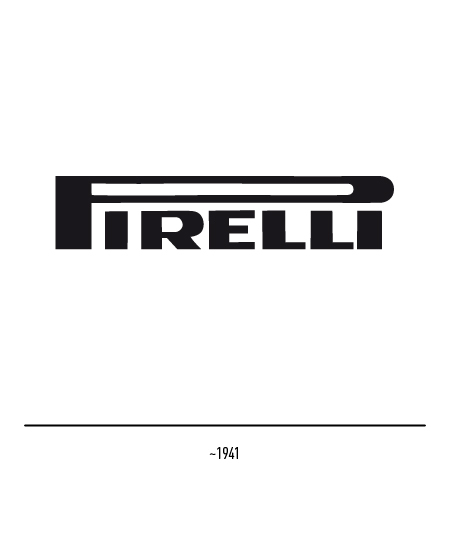 The first manufacturer in Italy of elastic rubber products was the firm "Pirelli & C." established by an engineer, Giovanni Battista Pirelli, in Milan in 1872. Starting out with simple items such as such patches, belts and hoses, in but a few years production had grown to include a variety of rubber products covering a wide range of technical, scientific and industrial applications. 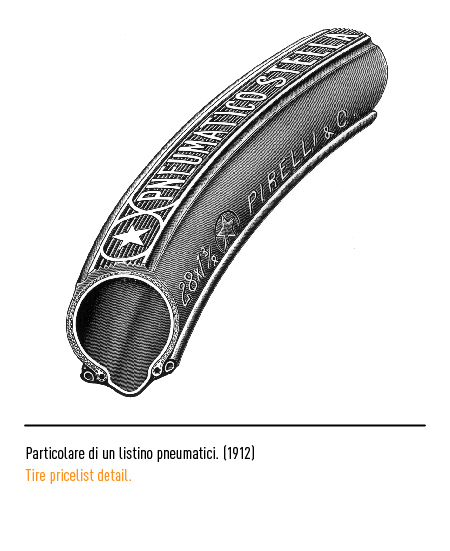 Insulated wires and cable for electrical applications were its next product line while the rubber side of the business began turning out bicycle tyres, or as they were then known "guarnizioni pneumatiche per velocepedi" ("pneumatic gaskets for velocipedes"). 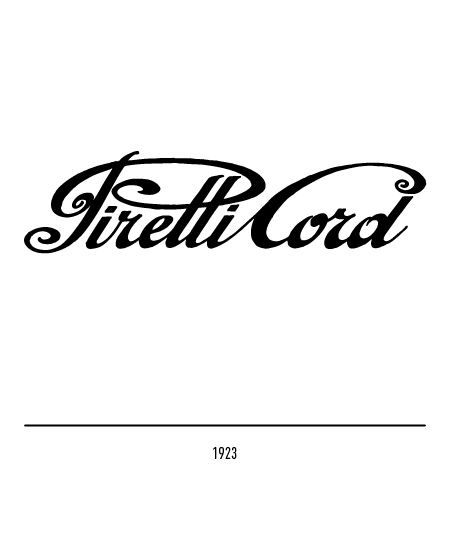 The famous star that was for years was to appear on its tyres and indeed on its full product range was first filed by the company in 1888. 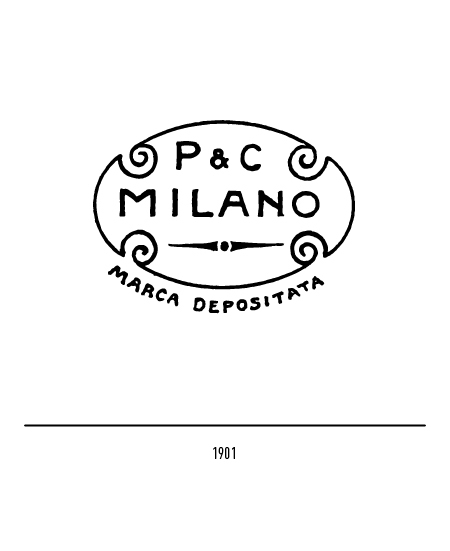 The next trade-mark, deposited in 1901, was oval in shape and bore the wording "P & C Milano" and several art nouveau-style embellishments. 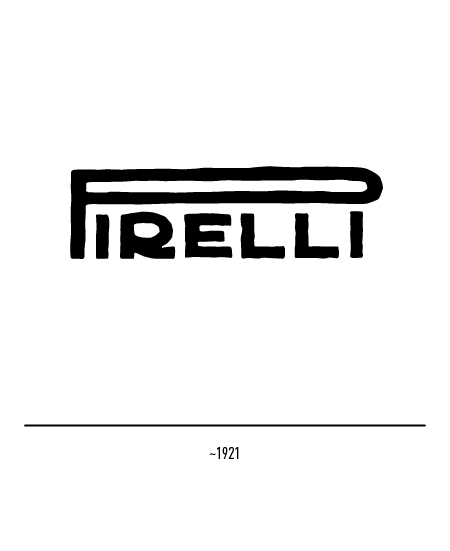 Both these devices were intended to attest to the products authenticity and not as company publicity. 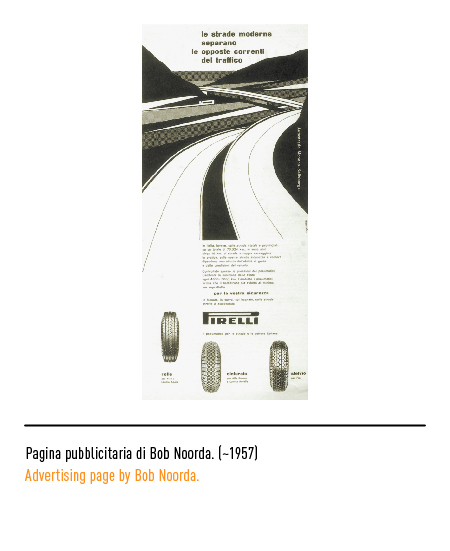 The tyre industry was highly competitive with very strong operators on the market so that it was crucial to build up consumer brand awareness, and product visibility and identity was an essential part of such a strategy. 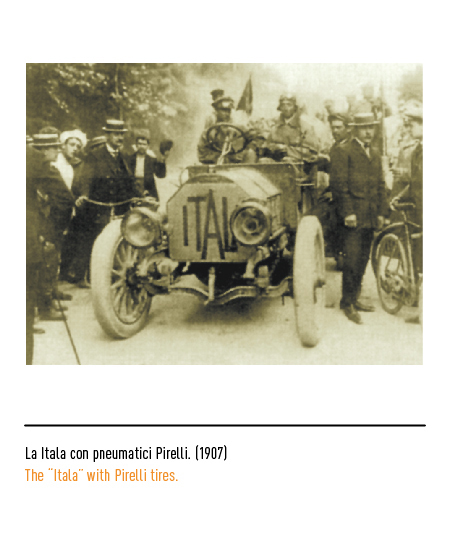 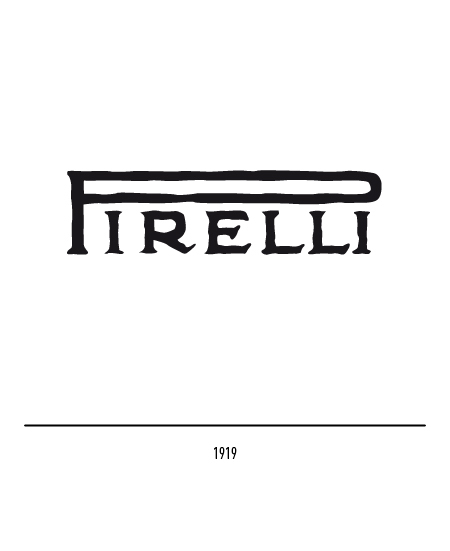 In 1907 Pirelli supplied the winning team of Borghese and Barzini with the tyres for "Itala" and their 16,000 kilometre overland and practically all cross-country Paris-Bejing race. 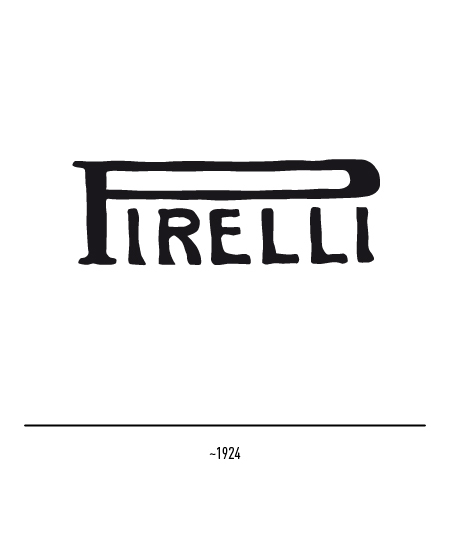 Not to let such a chance for much-needed publicity go easily by, a special trade-mark adorned by a laurel-leaf crown was designed to celebrate the victory. 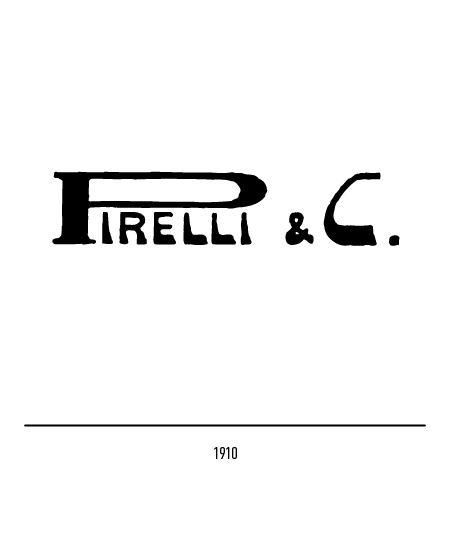 The "P" with its stretched out "belly" overhanging the other letters came out in New York in 1908. 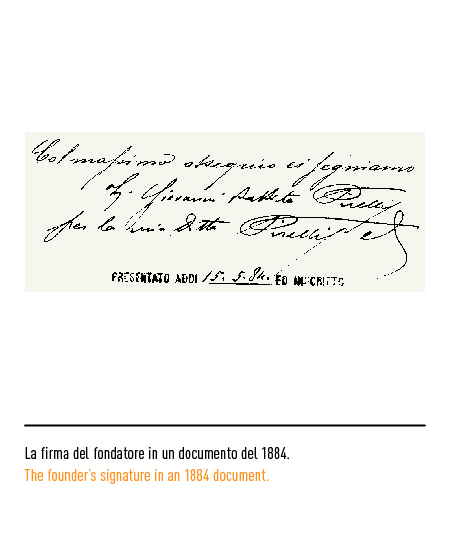 Its designer remains anonymous but the elongated "P" was already a distinctive feature of Giovanni Battista Pirelli's signature, as can be seen in a document signed by him in 1884. 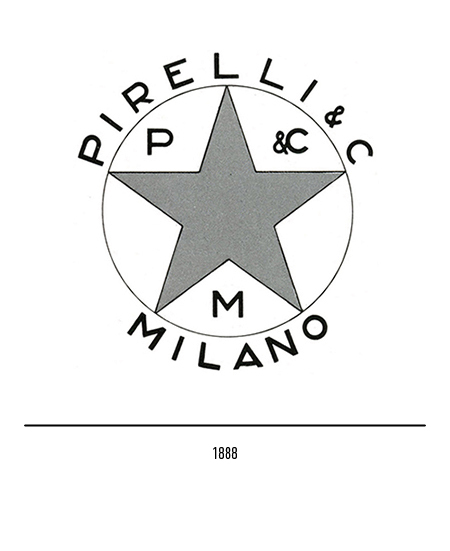 In any case, "P's" outsized bend symbolises rubber's elastic property. 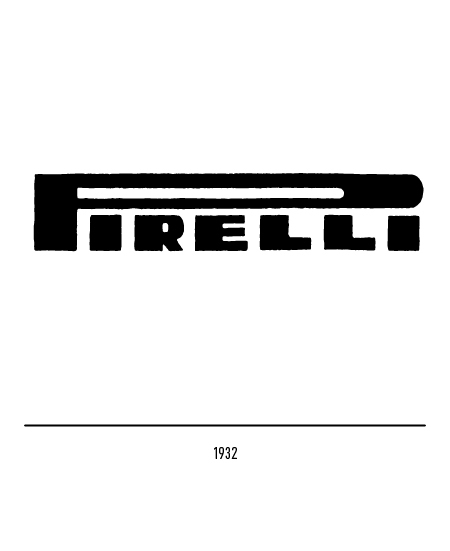 The official logotype, however, was for a long time far from stable. 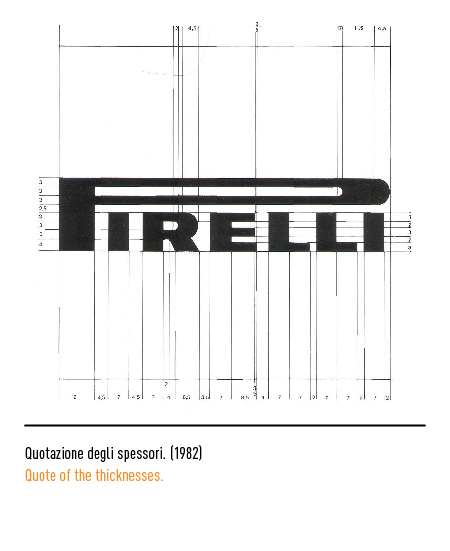 Design and calligraphic variations were fast and frequent. 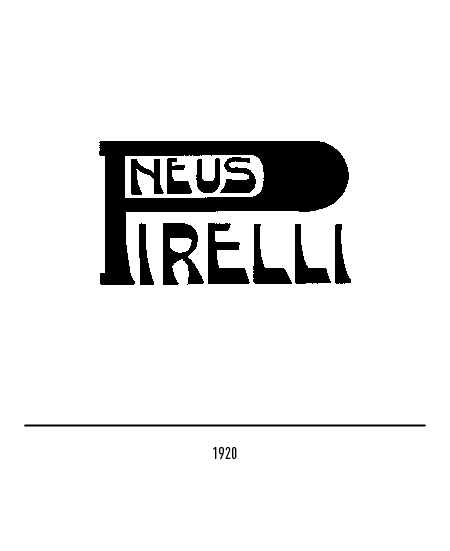 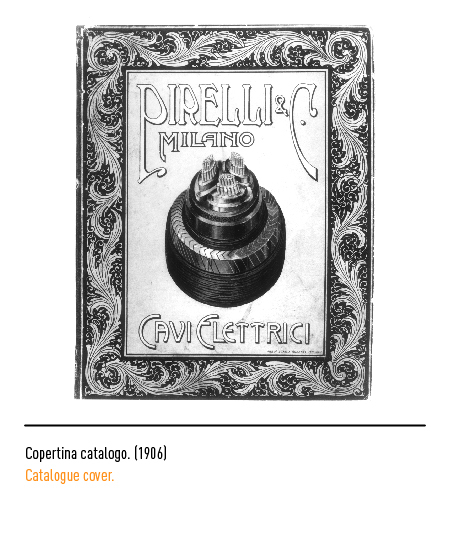 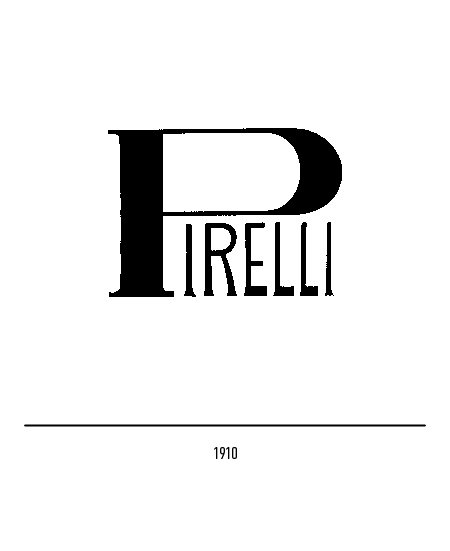 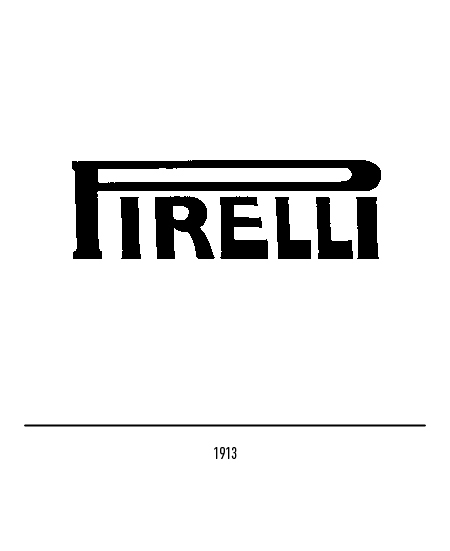 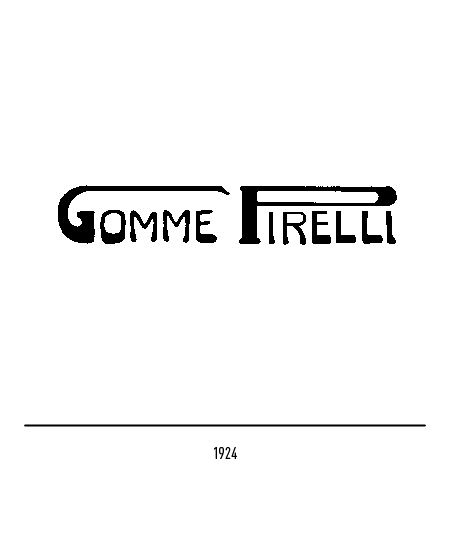 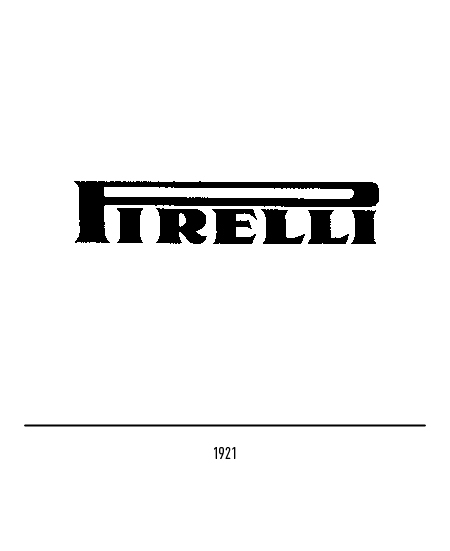 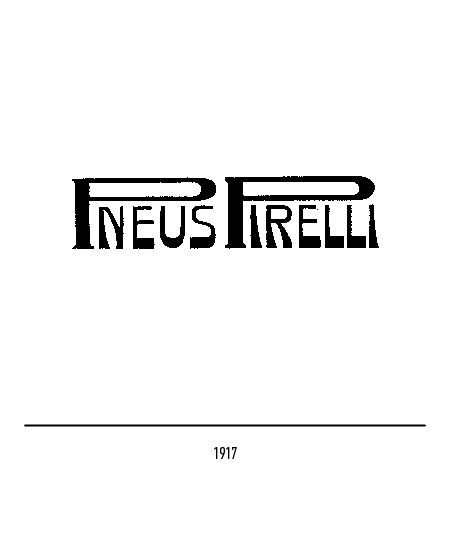 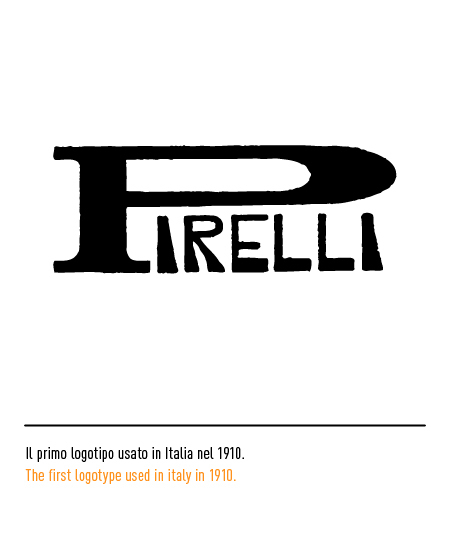 Floral and ornate styles and a range attitudes can be observed with the letter "P" stretching and twisting, its flourishes interwoven with the other words hoarding the banner, such as in the 1923 "Pirelli Cord" logotype. 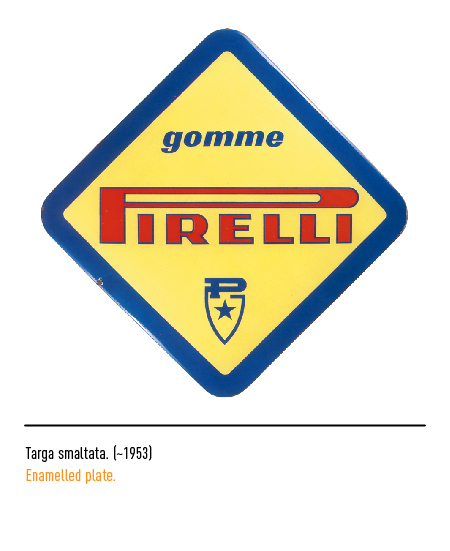 In 1946 a trade-mark in the form of a championship shield was designed and used up to the early seventies. 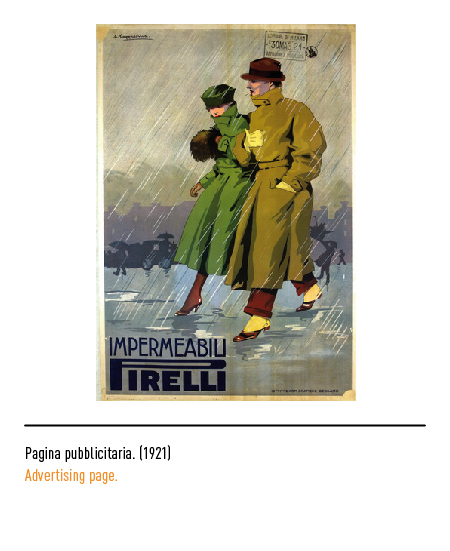 Then a general image revision campaign was undertaken. 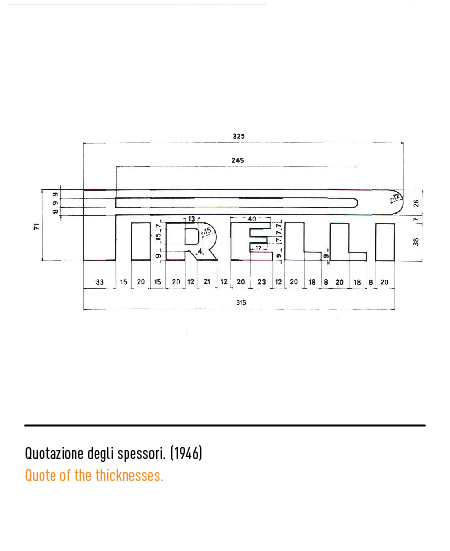 Graphics designers and artists of world renown were enlisted to improve the trade-mark. 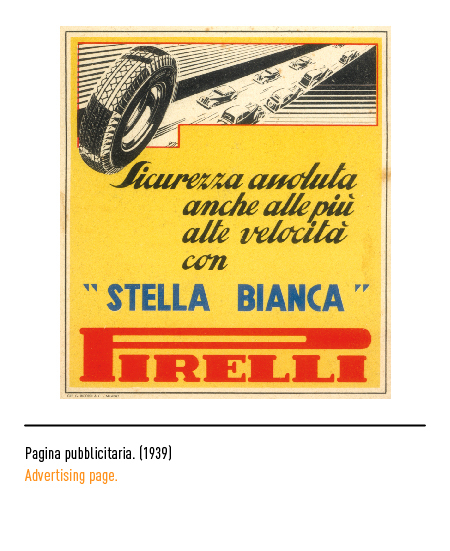 Inevitably, design and lettering were so diverse that a rule had to be laid down. 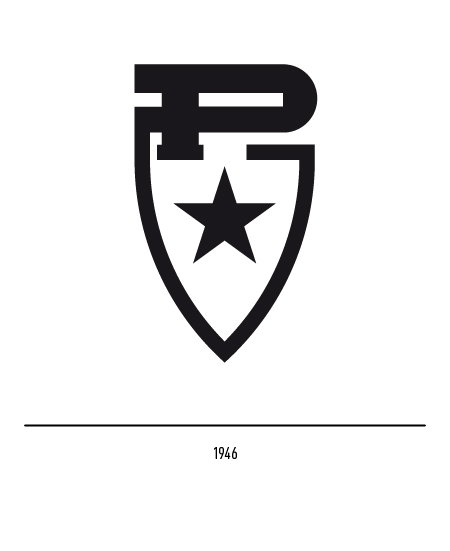 The values to be given to "P" and the gauges of the other letters were established in 1946 and then redefined in 1961. In an attempt at standardisation, in 1982 Salvatore Gregorietti of Unimark drew up a manual with instructions on how the logotype was to be used with the approved designs of the letters "R" and "E". 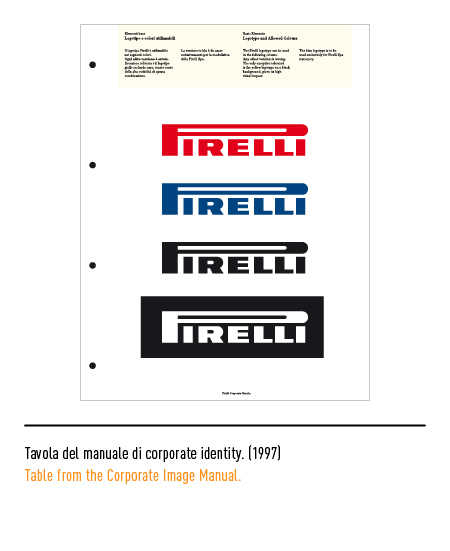 In 1997 Pierluigi Cerri edited a bilingual handbook laying down the colour standards of reference. 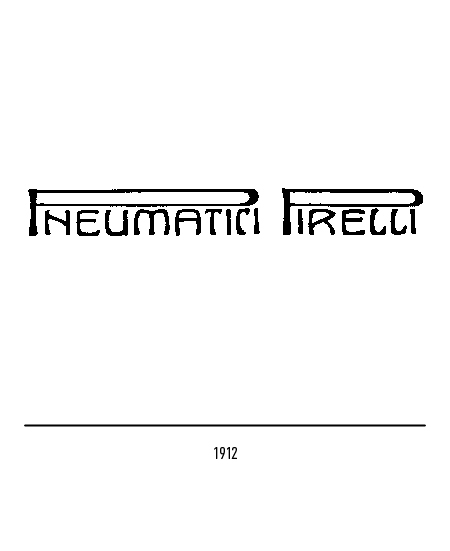 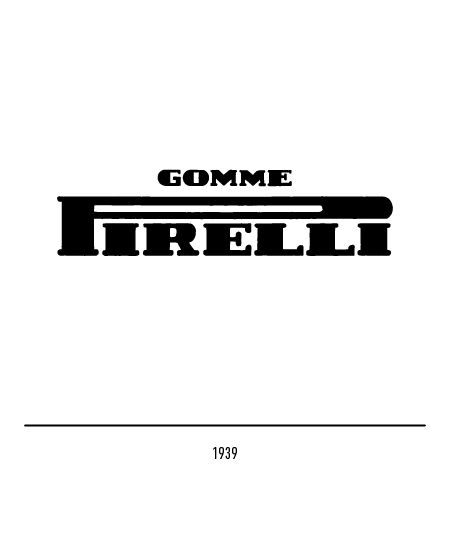 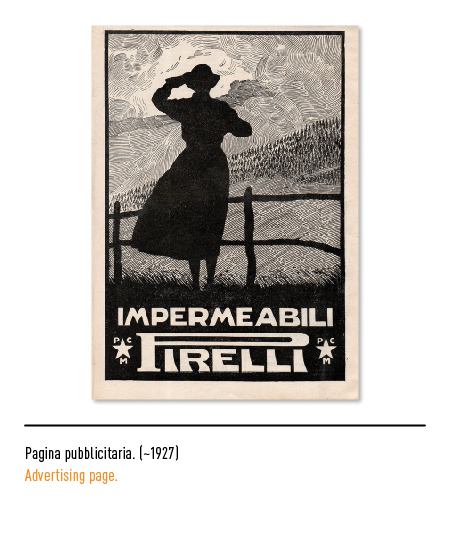 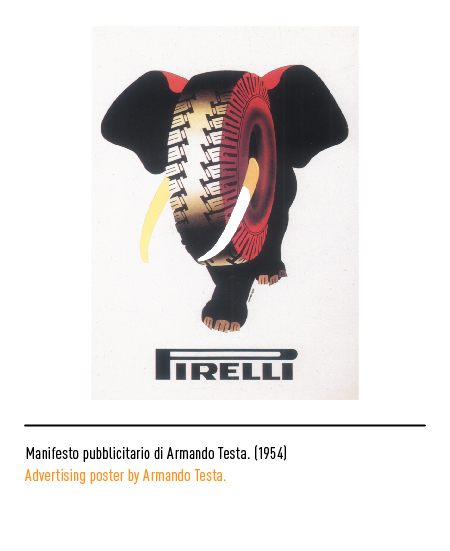 “1872/1972 Cent’anni di comunicazione visiva Pirelli” a cura di Bob Noorda, V. Schewiller, Libri Schewiller, Milano, 1990. 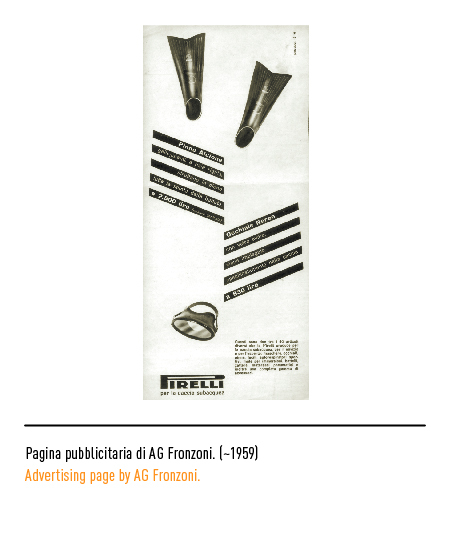 Glauco Felici, Monica Triglia, “La buona azienda si vede dal marchio”, in Fortune, maggio 1991. 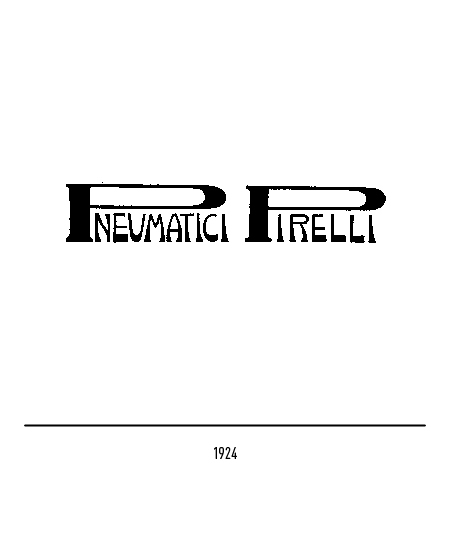 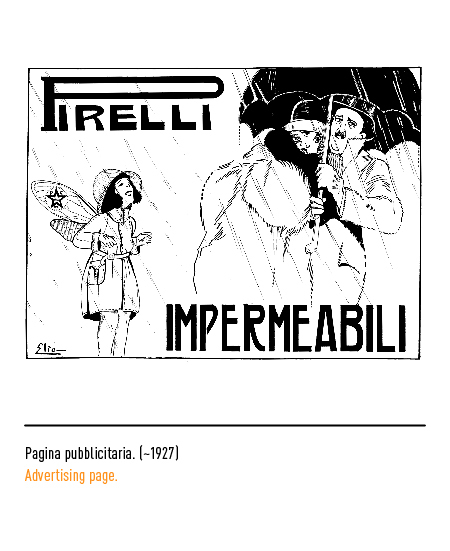 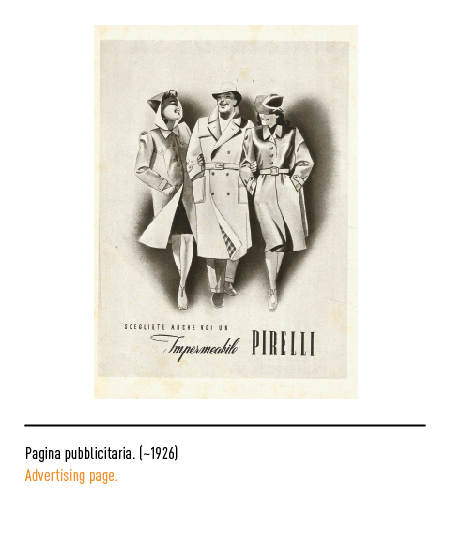 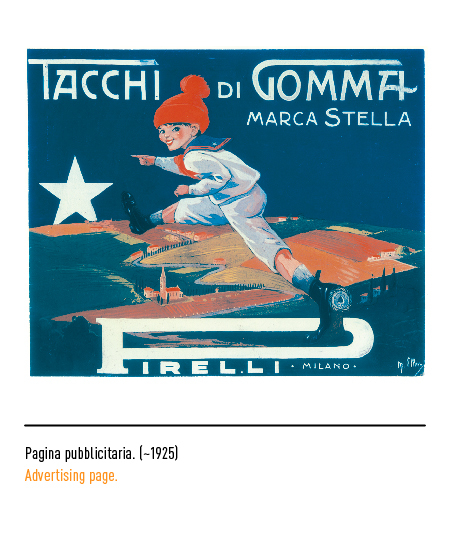 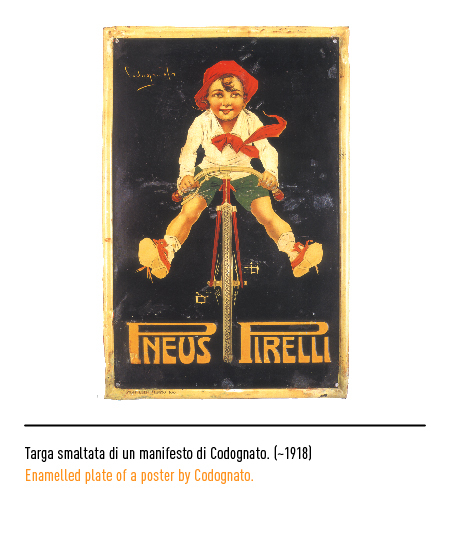 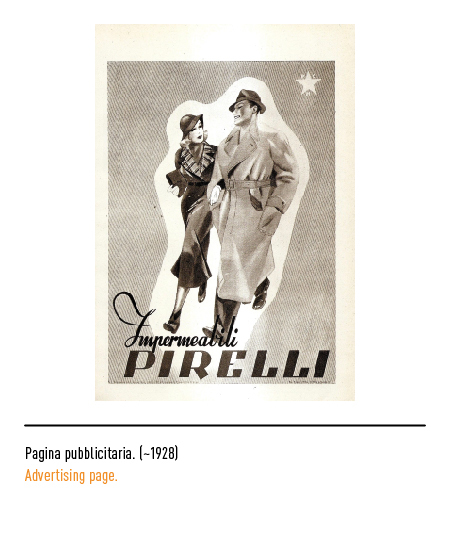 Letizia Dradi, “Comunicazione visiva Pirelli: gli anni ’50”, in Disegno, n. 38/39, 1990, Editore Esse, Milano. 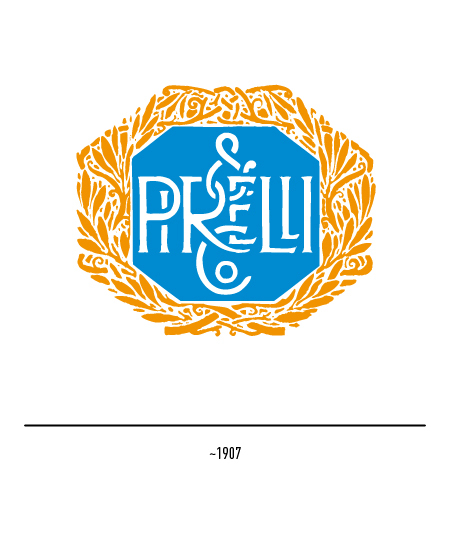 Letizia Dradi, “Cent’anni di comunicazione visiva Pirelli”, in Disegno, n. 37, 1990, Editore Esse, Milano.